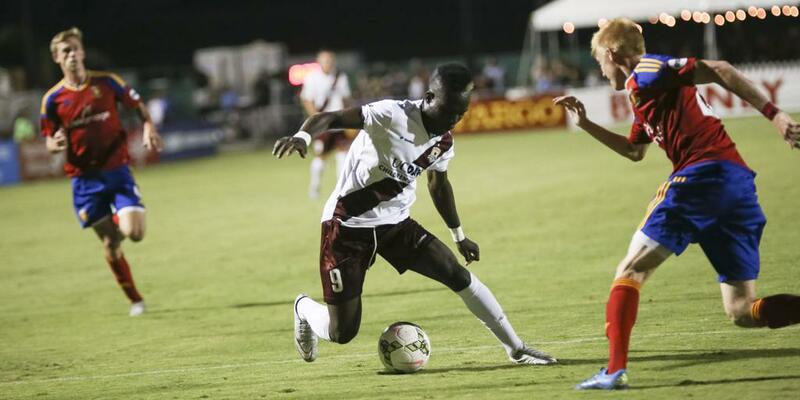 Republic FC continued to dominate possession to begin the second half and in the 67th minute it would pay off. Lopez attacked with the ball on the left flank and got into the box. 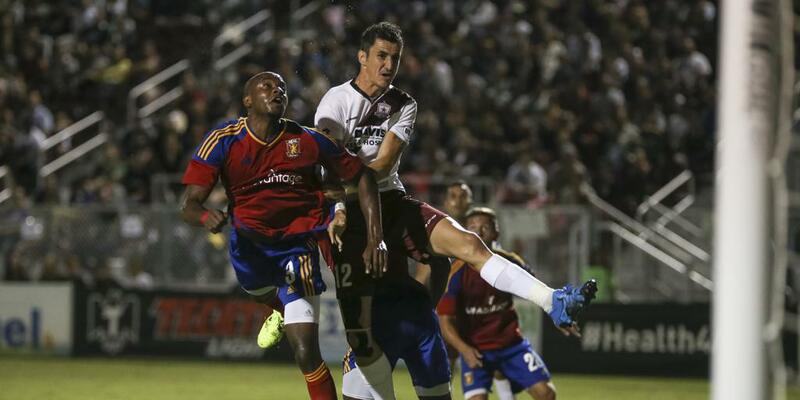 Lopez then picked up his target, Justin Braun, and drilled a cross through the air that found the forward’s head. Braun calmly redirected the cross into a wide open net after Fernandez was forced to defend the threat of Lopez. 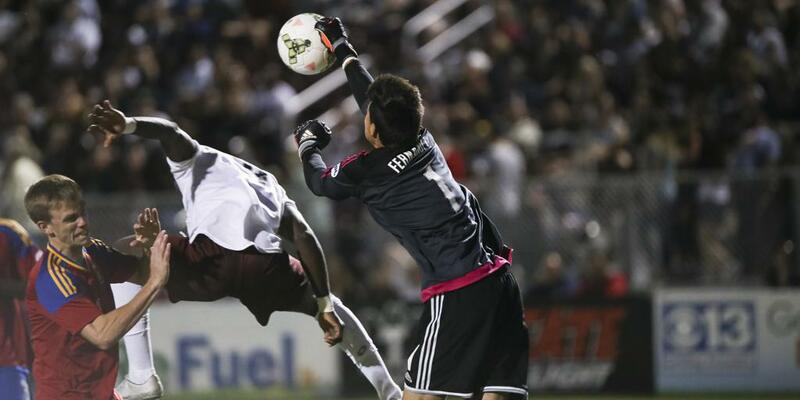 The goal was Braun’s 4th in USL play in 2015 and the assist adds to Lopez’s all-time USL record. Real Monarchs SLC – Eduardo Fernandez; Riley McGovern, Justen Glad (Emilio Orozco 45), Phanuel Kavita, Boyd Okwuono, Ricardo Velazco, Alec Sundly (Lennon Celestino 90), Wellington Paeckart, Maikon Orellana (Etiando Tavaraez 63), Sebastian Saucedo (Lucas Baldin 73), Emery Welshman. Stats: Shots: 5, Shots on Goal: 2, Saves: 3, Fouls: 15, Corner Kicks: 1, Offside: 0. 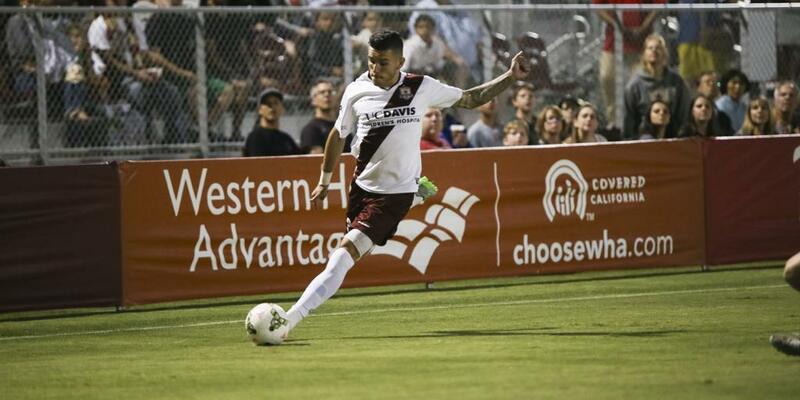 Sacramento Republic FC – Patrick McLain; Emrah Klimenta, Mickey Daly, Nemanja Vuković, James Kiffe; Danny Barrera, Ivan Mirković, Gabe Gissie, Rodrigo Lopez (Joaquin Rivas 80); Thomas Stewart, Justin Braun. 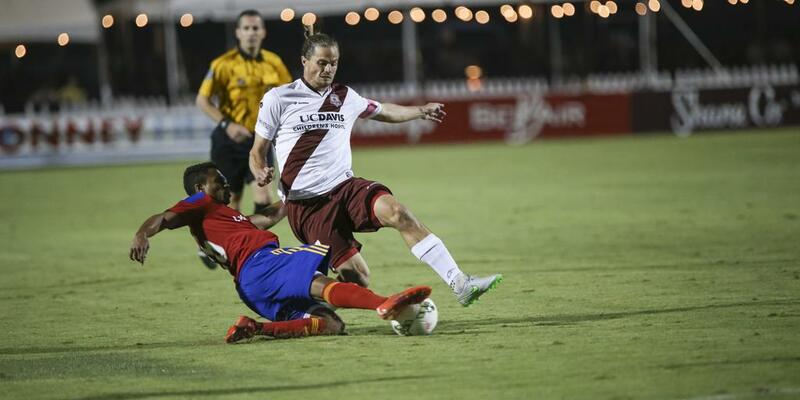 Stats: Shots: 15, Shots on Goal: 4, Saves: 1, Fouls: 17, Corner Kicks: 8, Offside: 3.